Need more apps for your favorite device? iOSnoops can help! Here are 44 iPhone and iPad apps that have just gone free. 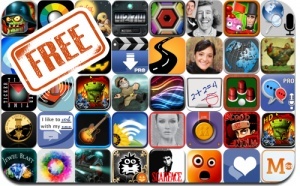 This apps gone free alert includes Trouble in Tin Town, Blood Ninja: Last Hero, Scarface, Find the Ball, Victory March, Apocalypse Zombie Commando, TimeTicker, Crazy Pumpkin, Facebomb Swap!, iColorama, Mailroom, Altimeter+, and many others.